Maple Origami . 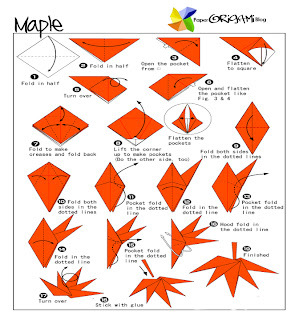 Simple Ways to make Maple Origami. Maples belong to a family of shrubs and tress. Just like other trees and plants it has various types and kinds. The most common families of maples are Hippocastanaceae . another most common type of maple that is found in the middle east is a sycamore maple. Around the world scientist through their effort was able to classify and know the number of maple plant species. as of now there are about 129 species are known, most of it are common in Asia. Maples are tress that grows mostly in 5-10 meters high. You can distinguished maple from other trees from it leaf itself because of its opposite arrangement. Maple trees also has different kinds of uses. the most common is the maple syrup. Maple trees also are good for furniture. 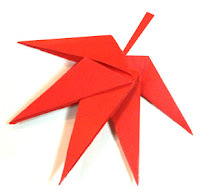 Origami enthusiast try to make an origami out of maple trees. 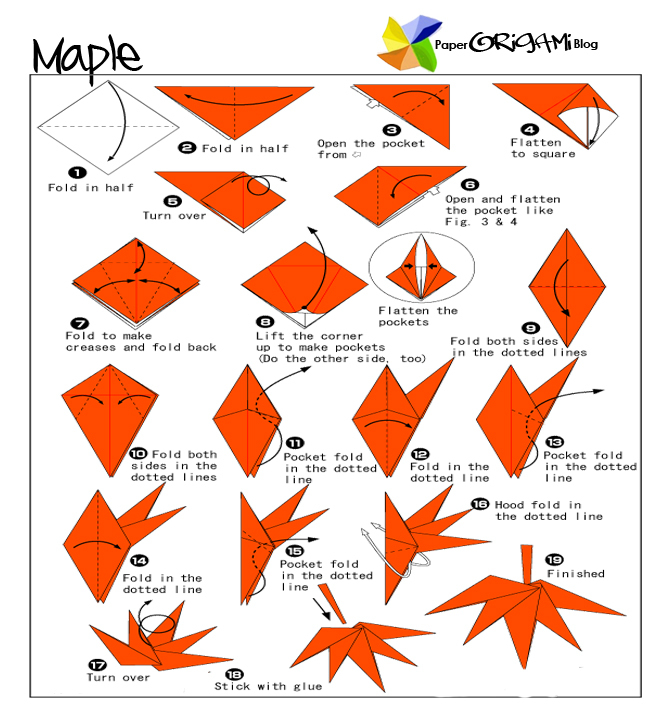 here are some basic folding diagram of maple left for beginner. There is alternate way of making origami maple. I posted 3d maple origami.